Do you have a lot of these?? We do! One of the things I love the most about Easter leftovers is the hard boiled eggs! My mom would make the most delicious egg salad and we'd eat that for a few days. She made it with dill pickles and a bit of the juice...oh yum. 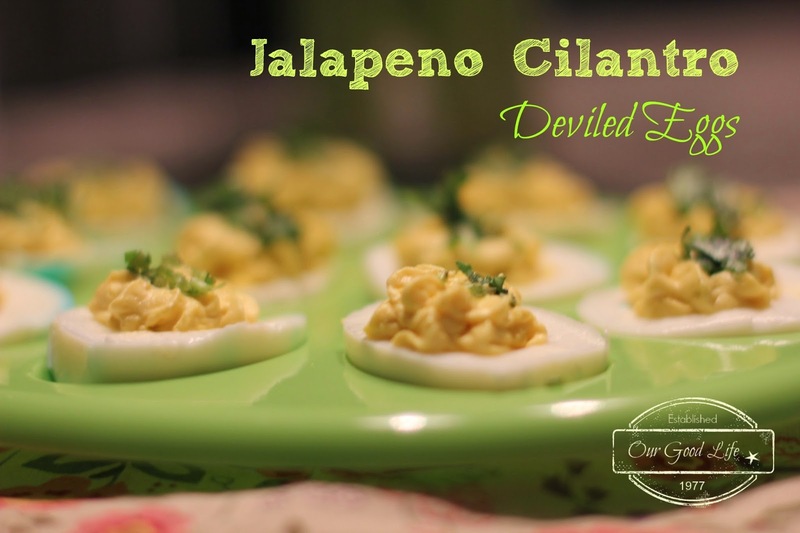 These days I like to take the eggs and make these spicy deviled eggs. Perfect as an appetizer or a side dish for your next BBQ. I first had these delicious eggs at a potluck carry in at my husband's college. One of the administrative assistants brought them in. She gave me the recipe but I lost it. I thought I could come up with something that would get me the same flavor profile. I also thought that I didn't want to lose my mom's egg salad taste, so I came up with using pickled jalapenos instead of pickles in the mix. Place egg whites in an egg plate with hollow centers pointing up. Put yolks in a bowl, add mayo, mustard, salt, cumin and chopped jalapenos. If mixture seems too thick, add a small amount of jalapeno juice from the jar until desired consistency. Smash until yolks are creamy. Place spoonfuls of the mixture into the egg white hollows. You can use a decorator's tube as well. Top with chopped cilantro. Refrigerate until use. 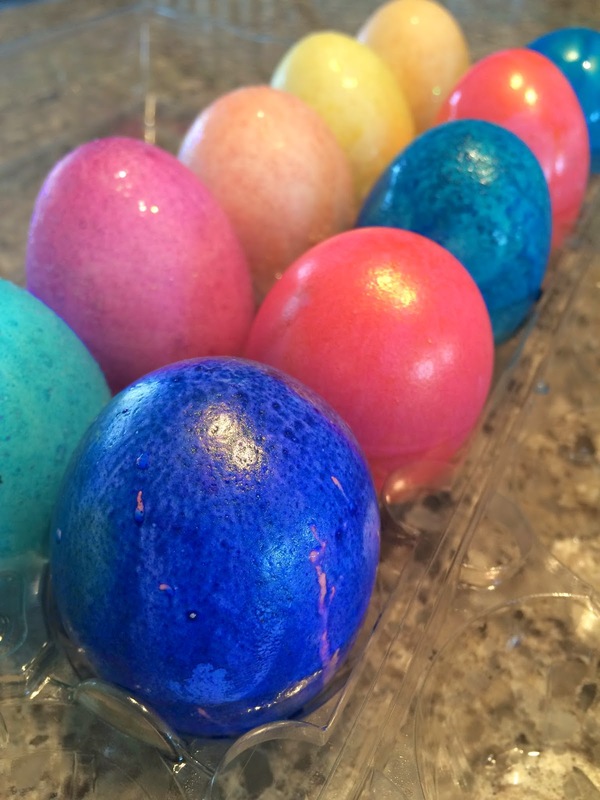 Check out these other yummy recipes using Easter leftovers!